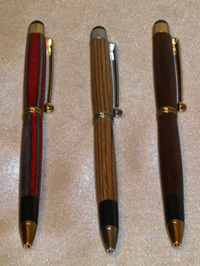 I am selling a lot of pens through my shows and having problems keeping specific pens in stock for the web site. 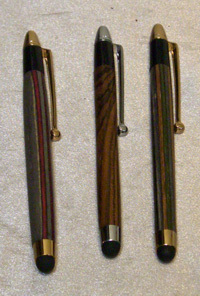 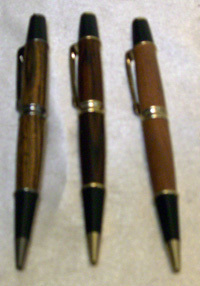 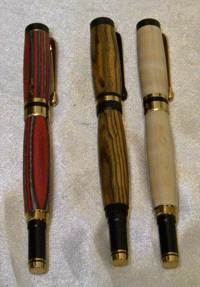 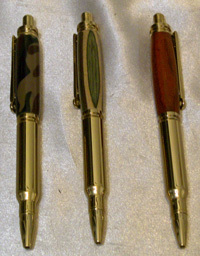 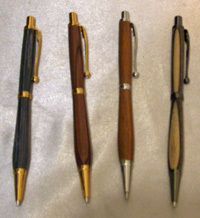 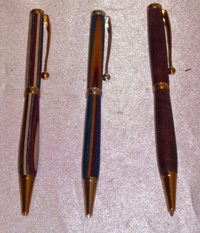 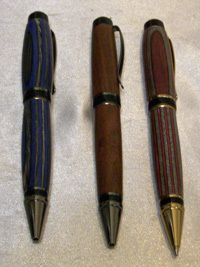 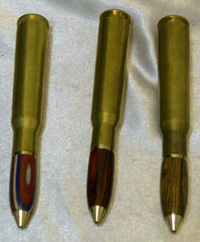 I make pens in dozens of different kinds of woods and colors of dyed birch veneer. 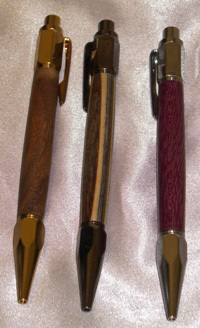 To give you the best selection and quickest turnaround on your order, after you have decided on what type of pen you want, send me an e-mail indicating what type of pen you want and I will send you a photo of the pens currently in stock for you to select from. 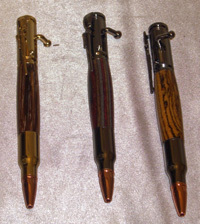 This process is more complicated, however it gives you the best selection of pens to choose from and guarantees fast turn around on your order.